From daylong coverage to homemade finger foods to party planning, millions of T.V. viewers halt what they’re doing at 6 p.m. one Sunday evening to witness the most viewed annual sporting events in the nation: The Super Bowl. 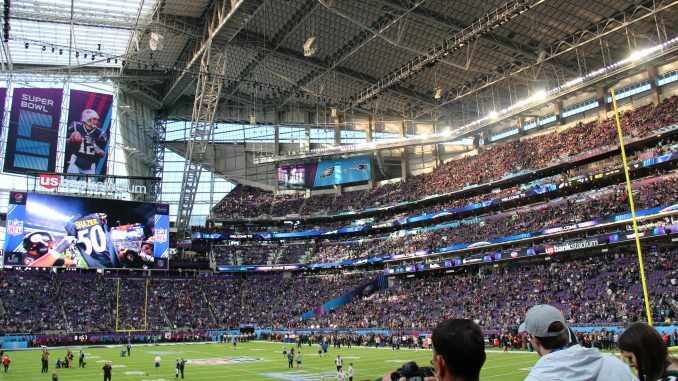 Analysts from the likes of Sports Illustrated and CBS believe that this will be the New England Patriots’ game to win, citing their overall dominance on both ends of the ball. Rams fans remain hopeful, though, putting their faith in defensive standouts like Aaron Donald. A significant population opts not to watch the Super Bowl due to lack of interest. In recent years, however, a new population of non-viewers has emerged: The NFL escapees. In the wake of League-based controversies ranging from athletes kneeling during the national anthem to high concussion rates, many fans who previously dedicated every Sunday to the League are now abandoning it entirely, citing overall frustration and fatigue. One of those evacuees is Albion resident Eric Worley. Eric grew up with the cookie-cutter sports lifestyle, cheering for a team in almost every professional league. While Sundays were typically dedicated to Oakland Raiders football, other days saw him rooting for the NBA’s Boston Celtics and MLB’s Detroit Tigers. Once the emergence of NFL players’ health regarding concussions came to light, he began to grow a bit wary. It’s important to note that Worley does not stand alone in these notions. Many fans and journalists alike have, in the past few years, voiced their disdain for the League and what Worley referred to as the “protect-the-shield mentality,” meaning that the league would rather cover things up to keep their reputation clean. One philosophy professor at Emory University even claimed that the disparities between the NFL and its diminishing fans can be traced back to issues as deep as race. The issues surrounding San Francisco 49ers quarterback Colin Kaepernick’s infamous streak of kneeling during the national anthem stirred things further. Add in general frustrations with the Oakland Raiders franchise and consistently poor officiating, and Worley simply had enough. “It just became too much, and I just told myself that I was done,” he said. Despite everything, an estimated 15.8 million fans still flock to stadiums and televisions every week to watch their team play, proving that sour fans won’t spoil the league’s overall success. According to a Radio + Television business report, there has been a dip in viewership from a younger demographic. This seeming threat is one that Worley believes to be rooted at the parental level. This coming Super Bowl Sunday will look a little different for the retired fan. Hours of football coverage may be replaced with Netflix binges, nightly newscasts and maybe even an earlier bedtime. Now more than ever, Andrew Brant of Sports Illustrated suggests that NFL executives will need to think of new ways to keep their youngest demographic interested in football.